Note: The top of the newsletter says August, but I believe it should have been September since the newsletter has been published every two months and the last one was in July. Just a few thoughts on the July 15th Annual Competition. We had a great crowd despite the morning rain and threat of thunderstorm activity. The stunt crowd enjoyed pretty good conditions with an occasional gust of windy turbulence, (mostly during Denny Thomas' flights), and keen competition for beginner and intermediate skill levels. Chris Keller flew a repeated win from his performance at Brodaks, with some smooth flying. Way to go Chris, I'm sure you'll be moving up a level very soon. The hollow log planes were great to see and even more fun to watch the flying, proving that 1/2A's have their own unique set of challenges. The Foxberg was enjoyable to watch, a combination skills, both from the pilot and pit person required to achieve success. 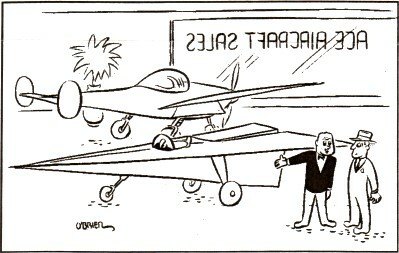 Not to mention physical endurance from the pit person to chase down and re-launch the plane. Very entertaining. There is good club interest in this event, so grab a plane and a partner. We will be seeing more of this in the future. For the rest of the summer and fall activities, check the schedule in this flyer. There is still a lot of stuff to participate in this year. We've gained a few new members and it's good to see them showing up at the club event. Don't forget to invite anyone who shows an interest to come out to see what we do. That's how it started for many of us who enjoy the hobby today. One final thought on competition. In all competitive events, there are spectators, and there are participants. Both can be very enjoyable. But few other activities offer so many ways for anyone to compete at some level. No pressure, or as much as you can stand, this hobby will give it you, if you choose to take a whack at it. Maybe whack is the wrong word to use.... or maybe it isn't. Either way, it's all fun, if you want it to be. Sept 8 & 9 there is going to be a 2 day event at Joe Maxwell's field in East Springfield. Saturday the 8th will be a fun fly day starting about noon and flyers are invited to camp over night to be there for Sunday's flying. The plan for Sunday the 9th is flying starting at 9:00 am with a Coxberg Race in the morning and a Foxberg Race in the afternoon. Let's see if we can get some teams together for the races. 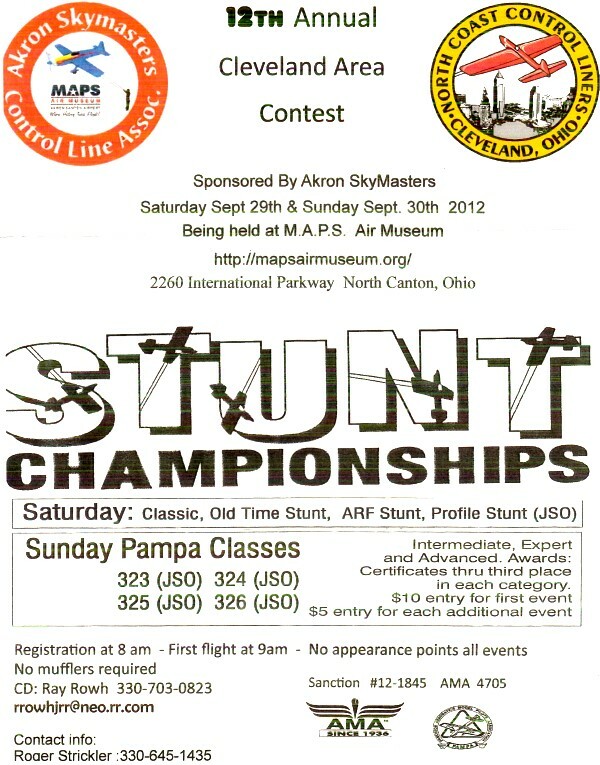 Sept 29 & 30 the 12th Annual Cleveland Area Stunt Championships will be in North Canton, Ohio this year. Please see the page in this newsletter. 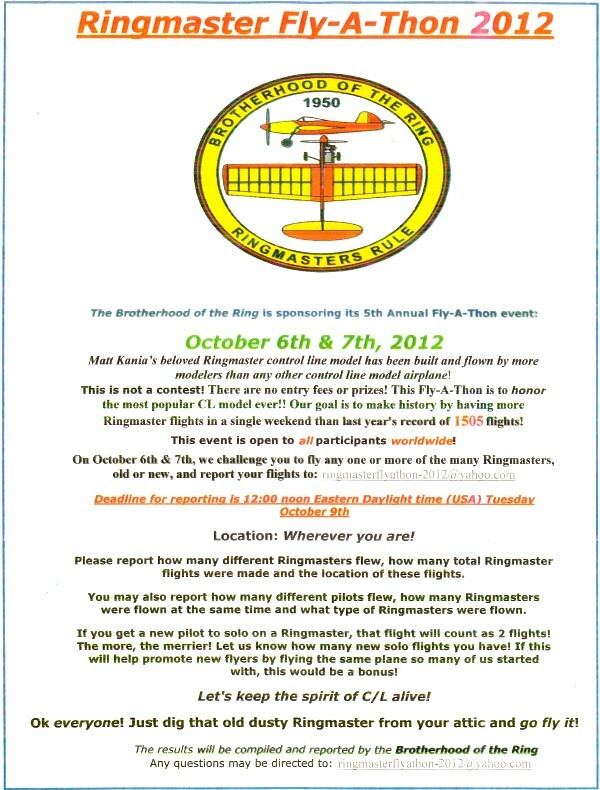 Oct 6 & 7 the Ringmaster Fly-A-Thon 2012 is scheduled for these two days. This year in an effort to report more Ringmaster flights we will try to schedule both days. The 6th is a Saturday and we will plan to fly in Erie behind Champion Ford starting about 10:00 am. The 7th we will fly in Albion at our field starting at 1:00 pm, but use the school lot if the field is too wet. Bring out a Ringmaster if you have one or just come to fly what you have. "... and this is our cheaper model!" Hello BHF! Well, the Summer is drawing to a close and before you know it we'll be buried in snow. There. I said it. Bah Humbug. This summer has been too hot and that's all there is to it. The heat thankfully wasn't enough to stop us from having a pretty busy summer. I think we had pretty good turnouts at all the events in the post couple of months which is good·. :"When there is a cold north wind blowing a foot of snow on top of us, you don't want to be thinking about the summer saying "Why didn't I fly more again?" These pictures are from the July 15th meet. Tents started going up early even with the weather looking bad. Joe Maxwell holds his stunter for Chris Keller to weigh. Albert Bergener's dusted fan plane in the air. Eric Keller signals his wife to launch his Primary Force. New field center marker donated by Shirley Hammett. Clint McBeth prepares his Smoothie ARF for his first official flight in competition with Tom Tucker assisting. Tom was visiting for the day and was one of the original members of the Albion Area C/L club years ago. Kevin Rutsky lauches George Town's Hollow log entry on the new ramp. The ramp was built and donated to the club by Clint McBeth. Andy Hammett (L) and Dalton Hammett with Andy's Foxberg plane. The next winter building challenge plane is anyone of the three Carl Goldberg Goodyear Racers. 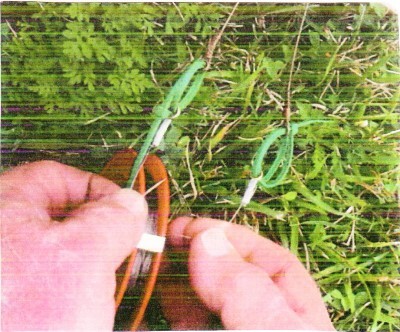 These are the Shoestring, the Buster and the Cosmic Wind. They can be built from original kits, from the Brodak Kits or from scratch. The completed planes can be powered as you wish but we are hoping to see more Foxberg Race planes with Fox .35's. The planes must be built over the coming winter. If you have questions contact Dalton Hammett. In the May/June issue of Stunt News we noted pictures of Bean Hill members Bill Hayes, Joe Maxwell, George Towns and Clint McBeth in the District 3 section.